It's the book everyone is raving about since last year. 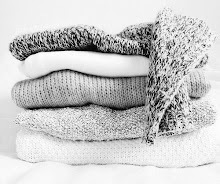 And it sounds really good and perfect for summer. But I guess this is another case of "It's not you, it's me" since I wasn't really in the reading mood while I read this. It's quite fun to read, I really like the experience and those beach nights they have. Emily's growth is really visible throughout this book. And the relationships Emily has with her family is really heartwarming. I know her parents seem neglectful, but they actually care for her and will always be there if she needs them. But one thing that really bugs me is how dependent Emily is with her friends, Sloane especially. I think it's important to show her character growth, but still. This one is a really beautiful book. I really enjoyed reading the story, but I also find myself struggling through some points in this book, especially in the beginning. I love how the author writes Marie-Laure blindness in a realistic way. Yes she's disabled, but that doesn't mean she stays in house or person around her are all protective. She's still capable of walking around the city (through a lot of studying, patience, and still stumbling sometimes), read in braille, and even participate in the movement against the Nazi. She's brave, smart, compassionate, curious and honestly such a beautiful and adorable soul. I'm struggling through some of Werner's narration because honestly, all that physics and math talk really giving me headache. Neverthless, I really love how passionate he is with radios (and physic in general), how naturally talented he is (I wish I'm that talented) and how good his heart is. He still cares for Frederick after all these years, and his relationship with Jutta, Frau Elena and Volkheimer really warms my heart. I also cared really deeply for the side characters. Etienne, Volkheimer, Madame Manec, Frederick, and so on. This book really tugs my heart and make me feel for them. If you expect this book to be similar with The Book Thief, then you might be dissapointed. This book has heavier and darker vibe than The Book Thief, which is why I struggle with this book. But this book has the same beautiful prose and story within, so just hold on and try enjoy the beauty of this book as its own. 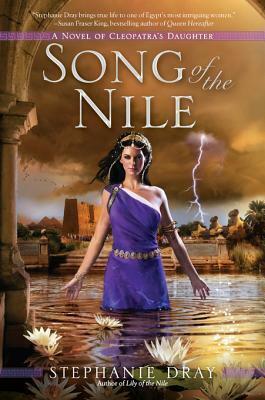 I really enjoy Lily of the Nile, but this book fell short for me. The writing is still incredibly vivid and powerful. I could imagine Mauretania, Rome and Selene's dream. And the side characters totally stand out in this book. Augustus is definitely not a man to be underestimated. I kinda hate Juba, but I think he's just blinded by his devotion to Augustus. I'm just really dissapointed with Selene in this book. She thinks herself so high and mighty, being the last of the Ptolemies, embodies Isis, queen of Mauretania and yadayada. She's reckless, and just can't see that the game she plays with Augustus is a political flirting, it could put both of them in danger, and creates Anthony-Cleopatra 2.0. I have no problem with Augustus storyline's though. I know from the first book that his ambition and obsession with Cleopatra would lead him that way. Overall, I would've enjoyed this even more if it wasn't for Selene. I still want to read the final book, but not anytime soon. When I first find out about this series, this book is what pulls me in (I didn't read TLH at that time), but yet this one is my least favorite in this book. After re-reading? WOW. I think this one would be in my top 3! The humor still gets me everytime, I even laugh out loud at some parts. I really like the writing style, it gives you new info about the greek myth, without feeling like reading a textbook. 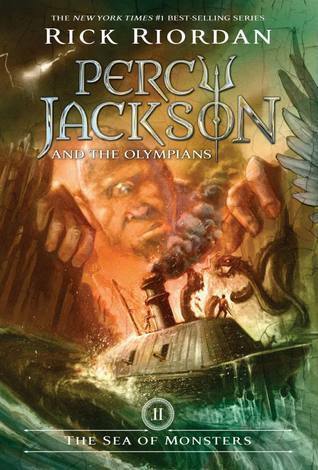 And I just noticed how ignorant and clueless Percy is in this book! But I guess that's why he's called seaweed brain, right? And Tyson is really adorable, protect him at all cost!! And the party ponies; I'm glad Mr. D isn't in the mood for celebrating, because I'm 10000% sure disaster would happen if he parties with the party ponies. 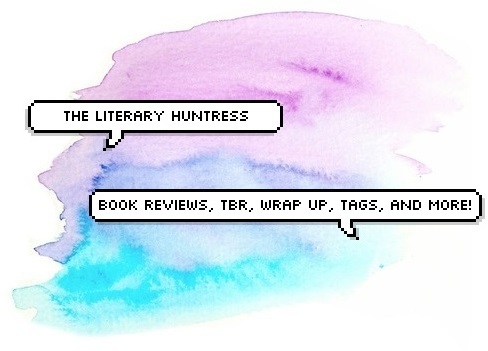 Beautiful mini reviews, Tasya. I honestly love how you formatted it, haha. I read Since You've Been Gone, and I thought it was a great book. But just like you, when I first started it, I wasn't in the mood. Nonetheless, I still enjoyed it and I'm glad you did too! I agree that Sloane was kind of dependent on friends, but I can't blame her :( I mean, people need friends sometimes, and feeling that way is normal. 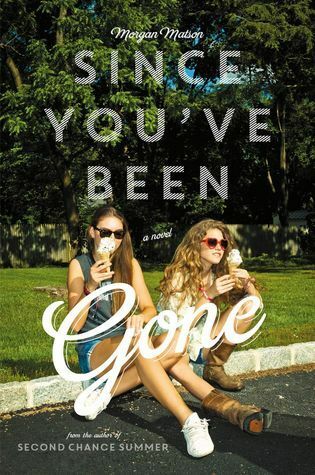 I really ended up liking Since You've Been Gone, which is kind of surprising, especially since it's contemporary and it is so long! But there were just a lot of aspects I really liked. Like you, I really appreciated the inclusion of Emily's family, and how they supported her. I did like Emily's character growth, as well, in terms of being her own person outside of Sloane's shadow. 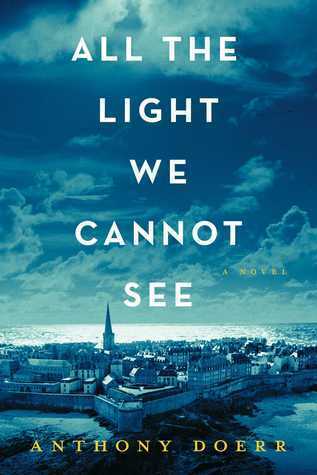 I have heard a lot of good things about All The Light We Cannot See, but didn't know it had been compared to The Book Thief. The way you described the book makes it sound super interesting, so maybe I will pick it up one day. I think I need to finally read the Percy Jackson books, since everyone loves them, and so many people have recommended them to me! Maybe when I finish some of the series I am reading at the moment, I will start on this one and see if I like it!